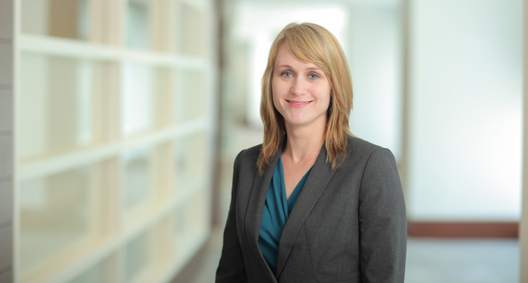 Erika Lindberg focuses her practice on commercial litigation and maritime law. Having been a former U.S. Coast Guard officer and qualified deck watch officer, her at-sea and shoreside experiences give her a practical understanding of the legal challenges faced by the maritime industry. Erika also provides advice and counsel to employers on best practices for preventing employment claims and avoiding employment-related litigation. While in law school, Erika was an oralist for the Boston College Jessup International Law Moot Court team and a student attorney at the Boston College Legal Assistance Bureau, where she represented low-income clients in family law, landlord-tenant and consumer protection cases. Advised waterfront commercial clients and marinas on the Jones Act and Coast Guard regulations regarding the licensing and use of passenger and commercial vessels. Represented a client on a claim for damages to a vessel (a ship) caused when a load of wind tower sections broke loose in heavy weather. Assisting in the representation of a top-five national lending and servicing institution in the defense of mortgage foreclosure lawsuits, managed the case dockets and drafted motions for filing in federal and state courts. Working with an international nonprofit charitable organization, created internal contract review policies and guidelines to streamline and provide uniformity for a client’s internal contract review process and provided organization-wide training to implement the new procedures and guidelines. Assisted in the representation of a community-based health care network in employment litigation matters, including the defense of hostile work environment, discrimination, wrongful termination and retaliation claims. Represented a left-behind mother seeking the return of her child pursuant to the Hague Convention on the Civil Aspects of International Child Abduction. Was part of the team that negotiated a settlement on the mother’s behalf. Represented victims of serious crimes applying for nonimmigrant status (U-visas) pursuant to the Victims of Trafficking and Violence Prevention Act before U.S. Citizenship and Immigration Services. Has conducted employment practices audits for 501(c)(3) nonprofit organizations and provided advice and counsel on best practices, as well as recommendations to the organizations’ boards of directors.